for $745,000 with 4 bedrooms and 3 full baths, 2 half baths. This 5,326 square foot home was built in 2002 on a lot size of 147x129. 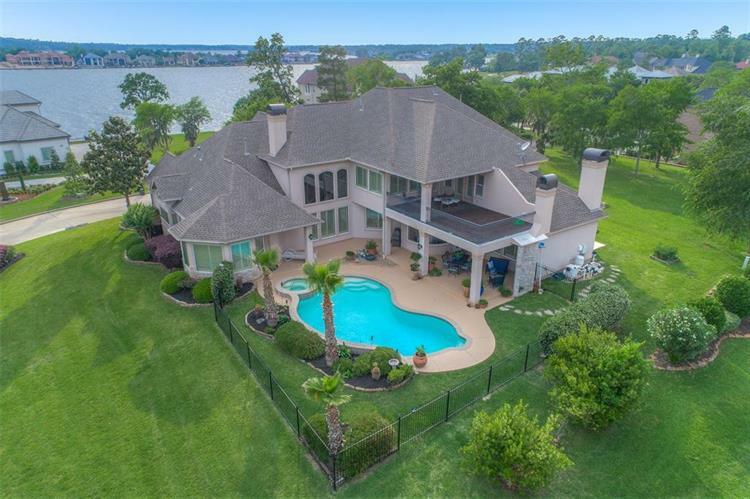 Elegant home with breathtaking views of Lake Conroe from every window! This Stucco &Stone home with pool sits up high on an oversized lot in the estates of Bentwater. 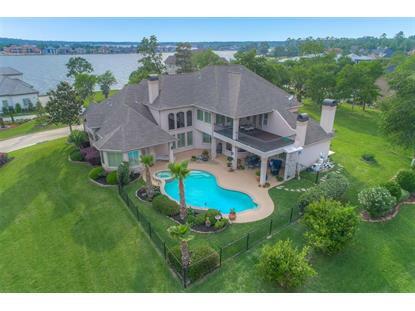 Backyard oasis with pool, two large covered porches, outdoor shower and fireplace, pool bathand views of the lake. Gourmet kitchen with granite, island with veggie sink, 6 burner gasstove with pot filler, double ovens. Large master suite with spa like master bath. Upstairs is3 large bedrooms, game room, and large balcony. Special features include: sunken wineGrotto w/wine refrigerators & 1 fridge w/ice maker, sink, and mixing station; a grand foyer; formal living &dining; 2 fireplaces inside; statement staircase with wrought iron balusters; plantationshutters throughout; laundry room with sink; study with rich paneling and built-in desk. 3Car garage with a workshop station. You do not want to miss this house! Full Country Club membership available!